Rubber Johnny is a 16 year old mutant. His ashamed, tv- obsessed redneck parents strapped him to a wheel chair and locked him in the basement. To entertain himself, little Johnny morphs in the darkness, his only companion being a terrified chihuahua. Johnny is a hyperactive, shape-shifting mutant child, kept locked away in a basement. With only his feverish imagination and his terrified dog for company, he finds ways to amuse himself in the dark. Rubber Johnny is the latest creation from the UK’s most imaginative filmmaker, Chris Cunningham. Featuring music by legendary electronic composer, Aphex Twin, this nightmarish and hallucinatory experimental short film is accompanied by 40 pages of drawings and photographs – Cunningham’s first published book of original artwork. Chris Cunningham – one of the most influential filmmakers of the last decade – has been at the forefront of innovation and an inspiration for technological boundary-breaking world wide. Cunningham first forged his relationship with Warp Records in 1995 with his debut promo “Second Bad Vibel” for Autechre, and since has directed a score of mind-bending videos for the likes of Squarepusher, Bjork, Madonna, Portishead and most memorably, Aphex Twin. The creepily hilarious “Come to Daddy” (1997) and bootilicious “Windowlicker” (1999) Aphex videos have both been showered with accolades, but deemed too darkside for daytime MTV. However, his delicate hand on Bjork’s “All is Full of Love” (1999) sensual, milky robot promo won him the best breakthrough video MTV award and a Grammy nomination, as well as 4 silvers and the first ever Gold Award for a music video at the Design And Art Direction Awards. Cunningham’s film making successes followed on from an accomplished career in feature films. He learnt his craft as an FX sculptor, designer and engineer on numerous feature films, which included working for David Fincher, Clive Barker and Stanley Kubrick. In 2000, Cunningham created a video art installation “flex” for the Royal Academy of Art’s Apocalypse exhibition. His next two short films with Warp Films, “Rubber Johnny” and “Spectral Musicians” are scheduled for release on DVD in 2005.With much anticipation from his legion of fans, Cunningham is finally turning his attention to feature films and is currently developing a feature length script with Warp Films. Synopsis Johnny is a hyperactive, shape-shifting mutant child, kept locked away in a basement. With only his feverish imagination and his terrified dog for company, he finds ways to amuse himself in the dark. 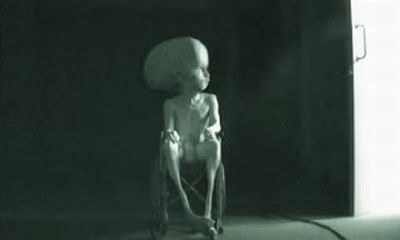 Rubber Johnny is the latest creation from the UK’s most imaginative filmmaker, Chris Cunningham. Featuring music by legendary electronic composer, Aphex Twin, this nightmarish and hallucinatory experimental short film is accompanied by 40 pages of drawings and photographs – Cunningham’s first published book of original artwork. Biography Chris Cunningham – one of the most influential filmmakers of the last decade – has been at the forefront of innovation and an inspiration for technological boundary-breaking world wide.